The brothers Armand and Henri Dufaux were the sort of artist/engineer/inventors found worldwide in the late 1800s, when motorized transport was a wide open. Born in France (Chens sur Léman), the sons of Baroness de Rochefort Luçay, Henri (b. Sep 18, 1879) was a talented painter, studying at the Ecole des Beaux Arts in Paris, Florence, and Geneva. Armand (b. Jan 13, 1883) studied mechanical engineering, and by 1898 the brothers had built their first clip-on engine for a bicycle. A year later they founded HADF (Henri Armand Dufaux Brothers) with Francis and Edward Cuillery Demole, based in Carouge, a suburb of Geneva. The Dufaux brothers, while French, had long family ties with Switzerland, and Geneva specifically, as their grandfather Henri Rochefort (Marquis de Rochefort Ducay) took refuge there after escaping exile (as immortalized by a Manet painting) by Napoleon III during the Second Empire of France, for demanding restoration of the free press, and democratic life in general. 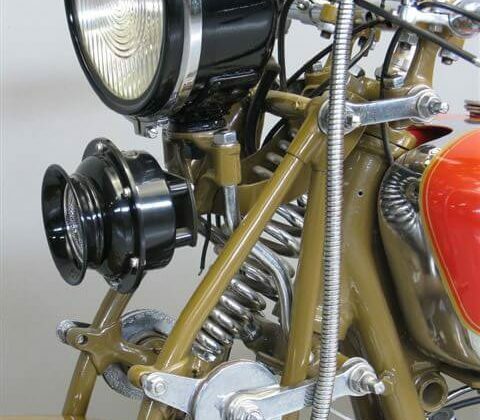 In 1898 the brothers Dufaux designed their first light motorcycle engine, which could be attached to a bicycle. By 1900 they patented a 1/4hp motor, which could propel a bicycle to 21km/h). The brothers were naturally interested in competition, and Armand won his first motorcycle race at Clement-St-Cergues in 1901. The name ‘Motosacoche’ (literally, ‘engine in a bag’!) appeared in 1903, was coined from their enclosure of their clip-on bicycle engine within a metal shroud. Motosacoche Dufaux and Co. (MSADC), a public company, was established in 1905, with a further factory shortly built in Turin (Societa Meccanica Italio-Ginevrina – est. 1908), and another satellite factory in Lyon. Clearly the little engines were popular! 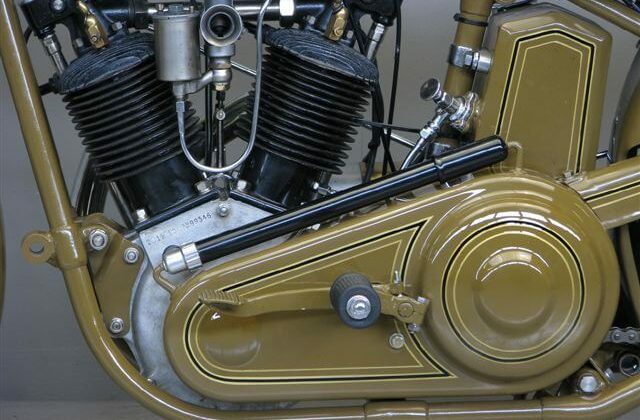 Motosacoche was also established in England, initially as H and A Dufaux England Ltd. Osborne Louis de Lissa was their sales agent from 1908, and established the little 1 1/4hp motocyclette in competition around England, with JS Holyroyd and de Lissa himself as ‘works’ riders. The reliability of the little machines gave them a series of gold medals in ‘road’ trials, and at times theirs was the only machine to make the course at Amulree Hill during the Scottish Six Days Trial, with Holyroyd aboard. 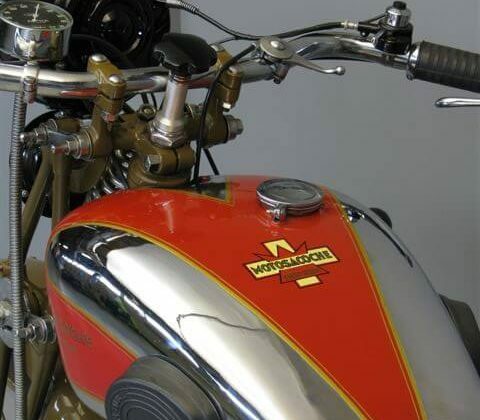 While they produced a fantastic moped, Motosacoche was ready to expand into the proper motorcycle market. 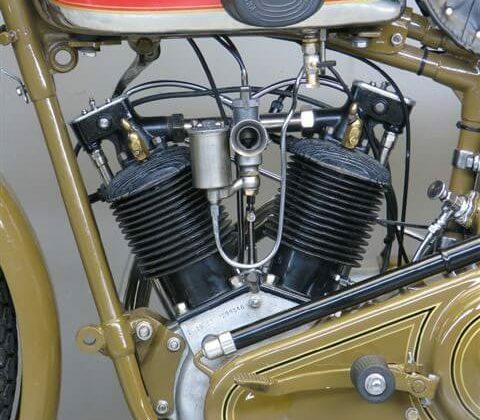 Motorcycles Acecas Geneve (MAG) was founded around 1909 to sell ‘loose’ motorcycle engines to other manufacturers. 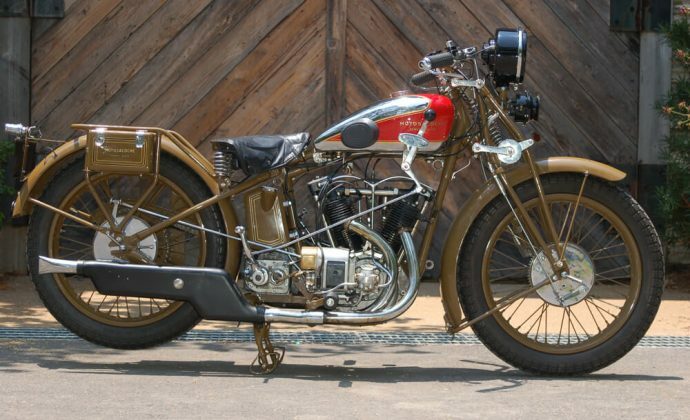 In England, the MAG engine appeared in Brough Superior, Matchless, Zenith, Royal Enfield, etc. In Europe, the MAG engine became, like JAP in England, near ubiquitous in the industry, powering the likes of Standard, Neander, Condor, Dresch, Monet Goyon, etc. MAG became a very successful company, with tens of thousands of motors sold, and gaining a reputation for Swiss quality. Simultaneously with the expansion of their motorcycle business, the brothers Dufaux directed their personal attention to building airplanes and helicopters. As early as 1904 they built model helicopters and planes with variable-tilt propellers, and invented the concept of the ‘VTOL’ airplane. Their helicopter of 1905 was the first powered aircraft of any type in the world to successfully fly, and was demonstrated for Louis Bleriot (who also made motorcycles), Alberto Santos-Dumont, Clement Ader, Henri Farman, Gabriel Voisin, Captain Ferber, etc; all founders of European aviation. The Dufaux brothers tasted success in airplane flight in 1909, becoming the first Swiss plane to fly with a pilot aboard. While the Dufaux brother divested themselves of Motosacoche and MAG in 1909, the factory built on their reputation for excellent motors and motorcycles, which today are hugely coveted by collectors. 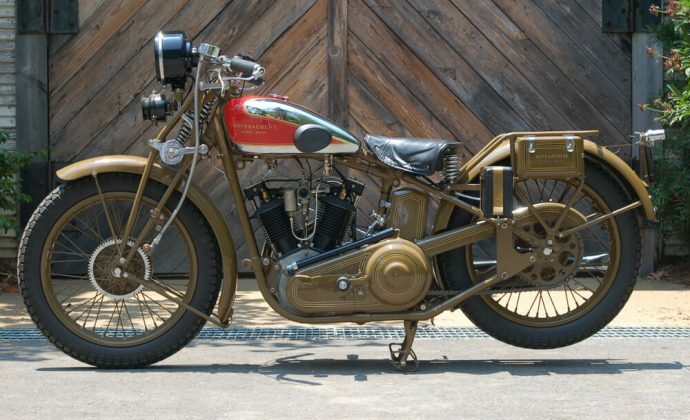 Machines like this ‘F-head’ (inlet-over-exhaust valves, much like the Harley ‘J’ series) v-twin 750cc Grand Tourist were as good – if not as flashy – as any motorcycle one could buy in the 1920s. With a 3-speed handshift Sturmey-Archer gearbox and full Bosch electric lighting, the big GT was a fast and reliable touring machine, with the distinctive Motosacoche color scheme of khaki and red, and by this date, a little extra chrome flung on the tank and a few ancillary parts.